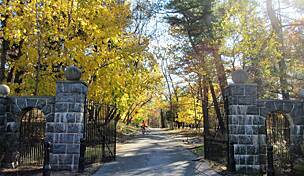 Splayed over 1,146 acres in northwest Bronx, Van Cortlandt Park has a lot going on. The park is New York City's fourth largest and is home to the oldest municipal golf course in America. There are playgrounds, walking trails, running tracks, scores of ball fields, a nature center, a museum and scenic lake. 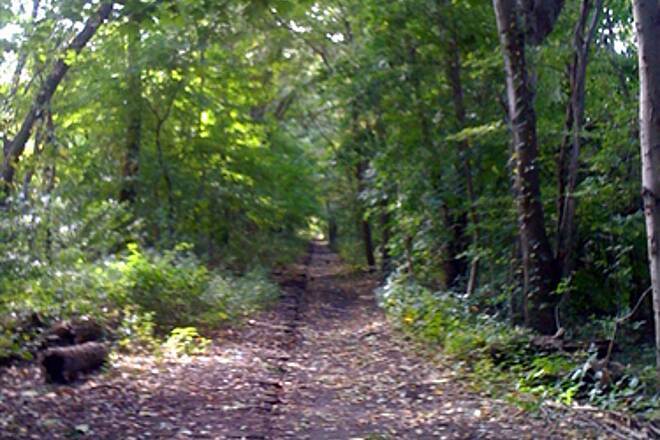 Van Cortlandt Park also is home to the Old Putnam Trail, one of four rail-trails on the former New York Central Railroad's Putnam Division line. The wide dirt and grass corridor allows easy passage on foot or by mountain bike. 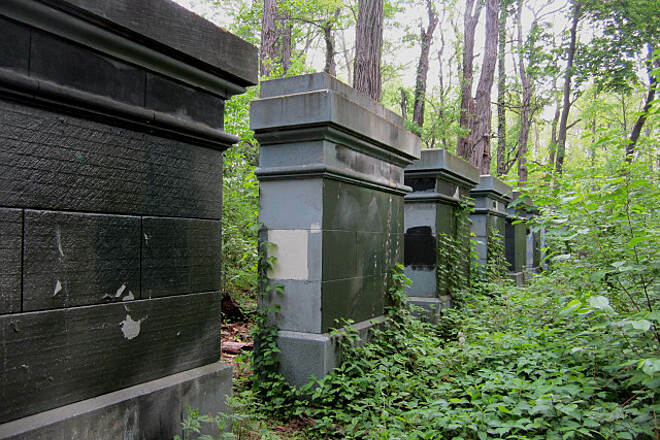 Access the trail from the northwest corner of the large parking lot near the Van Cortlandt Golf House. Though a portion of rail corridor extends south from here, it is heavily overgrown. Head south from the entrance a short distance to see the remnants of an old passenger platform. All that remains is the rusted metal framework. The trail's best scenery and its most unusual sight are immediate. 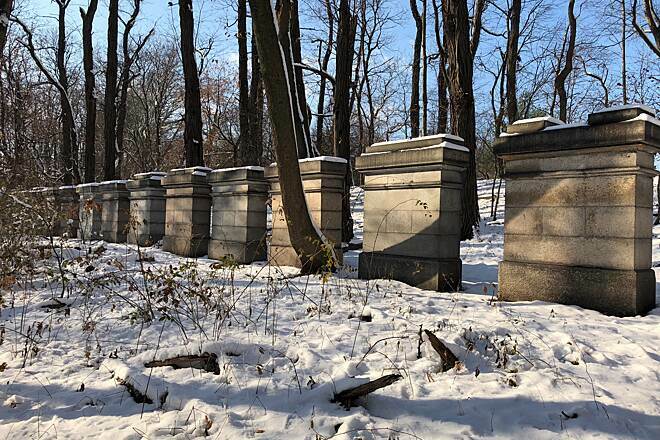 The trail skirts Van Cortlandt Lake and then passes 13 large stones along the west side of the corridor. 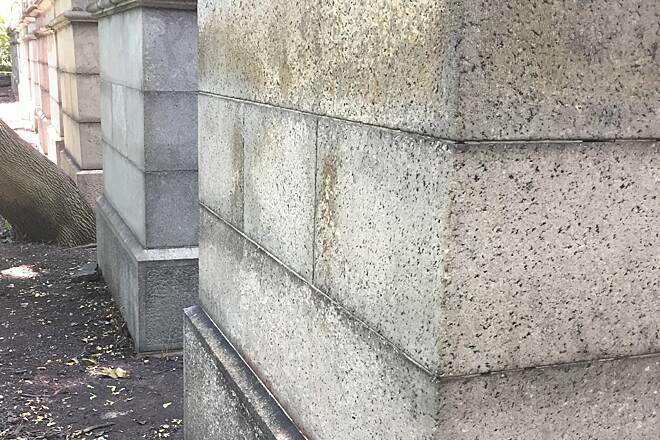 Railroad baron Commodore Cornelius Vanderbilt had these stone slabs shipped from quarries to determine which would be best (most impervious to weathering) for building Grand Central Station in New York City. Despite the results of his experiment, Indiana limestone was chosen because it was cheaper to transport. The Indiana limestone sample is the second southernmost stone in this lineup. 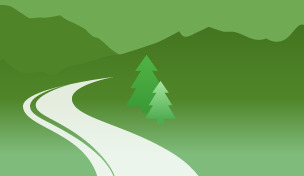 As you continue north you pass several trails that connect to the John Kiernan Nature Trail. 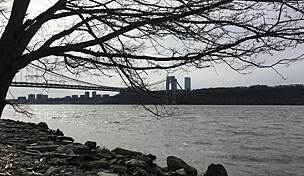 This 1.25-mile trail named for a Bronx naturalist meanders by Van Cortlandt Lake, a wetland and the forest. Staying on the Old Putnam Trail brings you over a small bridge spanning an arm of Van Cortlandt Lake. Across the lake are views of the Bronx skyline and the golf course clubhouse. At the Westchester County line, the Old Putnam Trail gives way to the South County Trailway. This asphalt trail extends 2.35 miles to Redmond Park in Yonkers. Here there is a 2.1-mile break in the South County Trailway that can be navigated on surface streets. To reach Van Cortlandt Park in the Bronx, from Broadway/US Route 9 go east onto Van Cortlandt Park South. Turn left at the second light and bear to the left, following signs for Van Cortlandt Golf Course, to a large parking lot. At the far end of the parking lot on the left side is a pathway that leads to the Old Putnam Trail. To reach the Old Putman Trail via the South County Trailway in Yonkers, from Central Park Avenue in Yonkers, exit at Palmer Road and travel west to Mile Square Road (traffic light) and turn left. Proceed south on Mile Square Road to Cook Avenue. Turn right and drive south on Cook Avenue to the entrance to Redmond Park on the right. Turn right into the park and proceed to the parking lot. A paved ramp leads up to the trail at the far end of the parking lot. Terrible mud and dirt year round. Ecological arguments will never stop people from using this trail and attempting to get to the Putnam trailway with all kinds of wheeled vehicles. It will continue its descent into a gross, barely navigable path until this is paved. The wetlands are hundreds of yards away. Holy smokes Bronx. Do you really want to waste your one opportunity to be kind of cool? My friend and I had an awesome time making tracks the day after a big snowstorm. The snow on the trees and the blue sky made for a beautiful day. 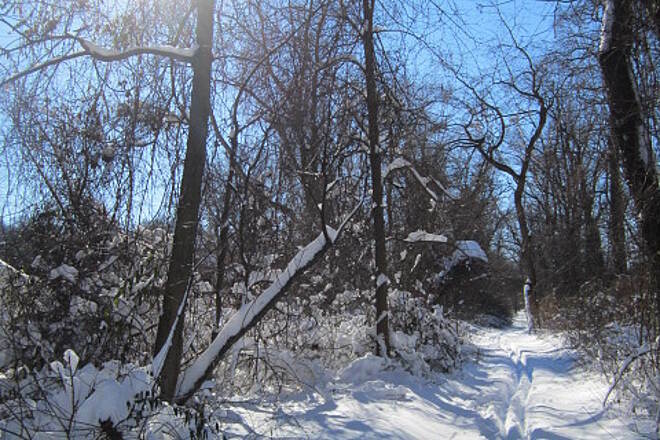 This trail offers a slice of nature in the City and has many uses through the seasons. The trail is not hard to find once you are in Van Cortland park, but better signage would help. The trail is great in of itself, as it leads you through the "forest" leaving you to forget that you are actually in NYC. It also connects to the South County paved trail (and thereafter to the Northern County..). Problem is that it is a dirt path, with plenty of sticks and rocks and leaves. After a rain it is a mess. But if it hasn't rained, it is great for hikers, and mountain/hybrid bikes. Its pretty, with plenty of nature. You can make it on your road bike -- I use 23mm tires -- but you have to be vigilant to ride on the flattest parts, and of course, only if it has been dry for a few days in a row. Doable, but not that enjoyable. I would only take a road bike as the most direct route to the South County, but not otherwise. This trail is extremely hard to find. I ended up on S broadway in Yonkers. 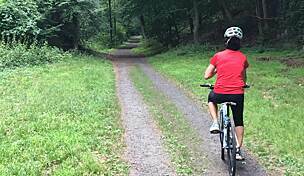 Many reviewers don't like Van Cortland Park trail for bike riding, especially with road bikes. I disagree with them. Here's why. 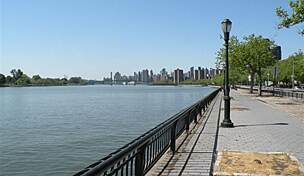 My ride starts on the South County Trailway, goes through Van Cortland Park, out to Broadway, over the Broadway Bridge into Manhattan and over to the West Side Greenway to West Harlem where I meet for brunch with my son. This ride takes way under 2 hours and is feature rich. Van Cortland Park can be challenging, especially when wet. I take it slow, enjoy the various surfaces and navigate this trail with either 1-1/8" or 28mm tires. Skinnier is OK too if you are careful. While I am encouraged by the proposed paving of the VC Park Trail, I would hate to see it relegated to another featureless R/T path enabling selfish cyclists to go too fast and endanger other users as they sometimes do on paved paths. Maybe there is a way to keep it dirt but optimize a few of the difficult sections. I run this trail frequently all the way thru the South County Trail. Some areas are tough for cycling but manageable. I find the course to be remote and relaxing. A great getaway from the hustle and bustle of the city. As well as other more population seas like Central Park and West Side Highway. There is also amazing wildlife including turtles, chipmunks, birds and of course squirrels. It's a great venue for running, cycling, hiking, and loving nature. 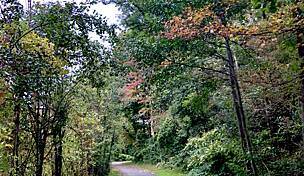 The Old Putnam Trail helps New York City residents access the Old Croton Aqueduct Trail (OCAT), and the South and North County Trails. 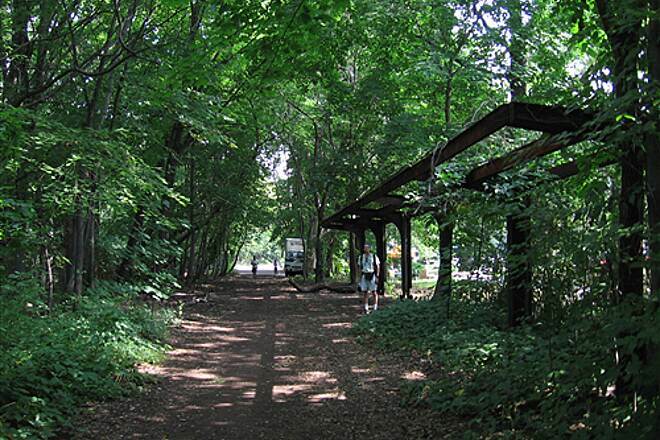 The start of the trail is located in Van Cortlandt Park near Van Cortlandt Lake. It is dirt with roots and railroad ties. Hybrids and mountain bikes are better suited for this trail than road bikes. Once you cross into Yonkers, it becomes the South County Trail (SCT) and is paved. It's from the SCT that you can more easily access the OCAT. The possible paving of the trail has met with controversy. Saying "The wide dirt and grass corridor allows easy passage on foot or by mountain bike" suggests the author never actually rode the Old Putnam Trail or it hasn't aged well with minimal maintenance. After a week of fairly dry weather, low sections had deep pools of viscous black muck adjacent to decaying RR ties. 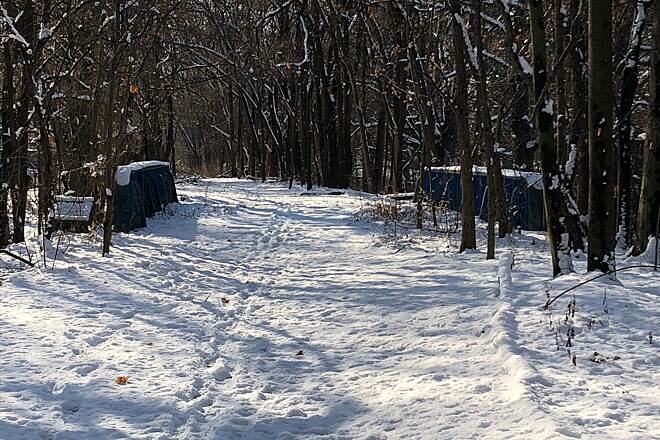 Higher sections were less slick, but resemble singletrack courses. Stop as far to the right as possible, wait for opposing traffic, then continue. There's no hint of the trailhead as you approach from Broadway through the southwest corner of Van Cortlandt Park. 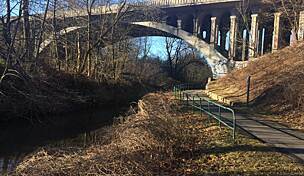 Choose the rightmost park trail at each branch, until you spot the bright blue railroad bridge amid the overgrowth, ease underneath, turn left-and-up, then head left onto the trail. 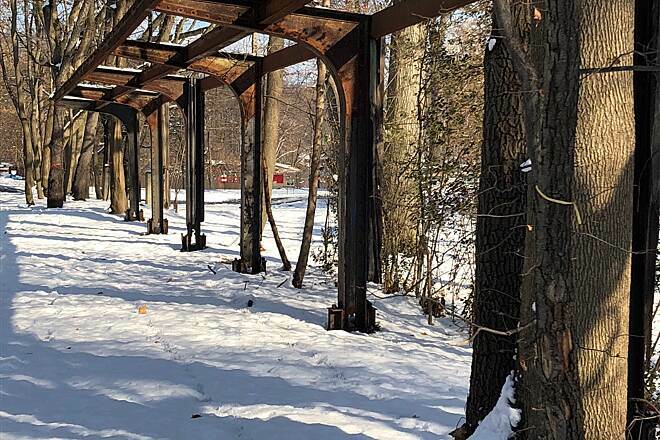 The Old Putnam Trail isn't a destination, just an obstacle for travelers between NYC and points north. This trail is about 3/10ths of a mile from the last stop on the NYC Subway IRT #1 train. The station is 242nd Street/Manhattan College. The lack of a paved surface or any drainage leads it to become a muddy mess. People riding and walking south on the South County Trailway invariably turn around once the pavement ends at the trailhead for the Old Putnam Trail. 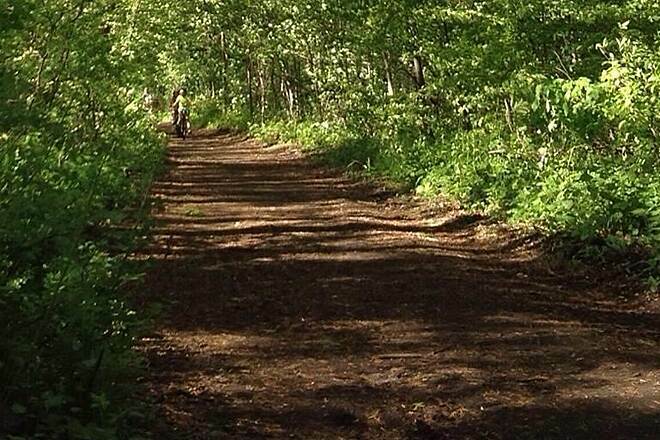 I took this trail yesterday, May 1, 2014, a day after we had very heavy rainfall. The trail does not drain well, there are large puddles and mud to traverse through. I was worried about getting a flat on my Road Bike because the trail is not smooth and full of sticks and ruts. The trail runs 1-3/4 miles from the Westchester Border. I came from Westchester and make sure you turn into the Tibbets Wetlands. This will lead you to Broadway at West 242nd Street. 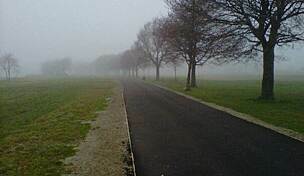 If you try to ride the last couple hundred yards it is impossible. There are fallen trees blocking the trail and vegetation is so thick the trail virtually vanishes. The Tibbets Wetlands is a small area with wood planks that will lead you out of the trail. You can't really see anything around you while you ride this 1-3/4 miles stretch, vegetation is so thick, it is like riding through a jungle tunnel. Also, I would strongly urge any female cyclists to not take this trail alone, it is a very remote area and there are no call boxes for help. It is very rare for me to feel uncomfortable while cycling but this location is so secluded it is best off riding with others. 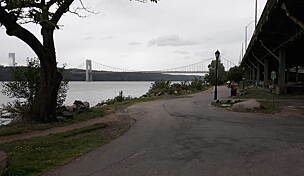 Having just walked the Van Cortlandt section of the Putnam RR (Yonkers & Main branches), I can't wait till they install light rail to connect lower Manhattan via 5th Avenue with Suffern,NY over the Tappan Zee Br. on this trail. I'm not sure the Old Putnam tail I've enjoyed riding is the same one described in the other two reviews. True, the part that runs through VanCordlandt Park is the hard-packed dirt of an old railbed (complete with decaying ties), but that is only the first 1/2 mile or so. Once you exit the park at the north end, the trail becomes a well-maintained, asphalt-paved scenic pleasure. There are two places where you must leave the right-of-way and go into local streets (I think because development has encroached on the right-of-way), but for most of the 30 or so miles I've ridden (to Yorktown Heights), it is well suited for road bikes. The bridge across the Croton Reservoir is particularly enjoyable. Biking along the trail you can get a real sense of what commuting must have been like back in the steam locomotive days of these NYC bedroom community suburbs. Don't be put-off by the previous reviews. This is one of the nicest, most consistant stretches of rail-trail available in the great NYC area. Note: if you're considering riding the full length and returning by Metro-North from the Brewster station, remember you will need an MTA railpass. They can be obtained at most stations for a one-time cost of $5. Natural Dirt trail through the woods of Van Courtlant Park. The trail connects the bronx to westchester's Paved south/north county trail. Trail width varies through out with some out growing roots, railroad wood protrusions, gravel on certain parts of the path. It's a nice trail but the dirt surface is not fun to ride on. Certain sections are very uneven and bumpy. I would not recommending riding the trail after some rain. The path will have 3-4 sections where water will puddle up and become very muddy. In it's current state, it's more favorable to mountain bikes then road bikes. Hopefully this trail gets paved so it can connect to the paved section in westchester... It's a shame that it hasn't been paved, I think more people would enjoy this section of the trail if it were. For now, it's just a rough means to get to the paved trails in westchester.